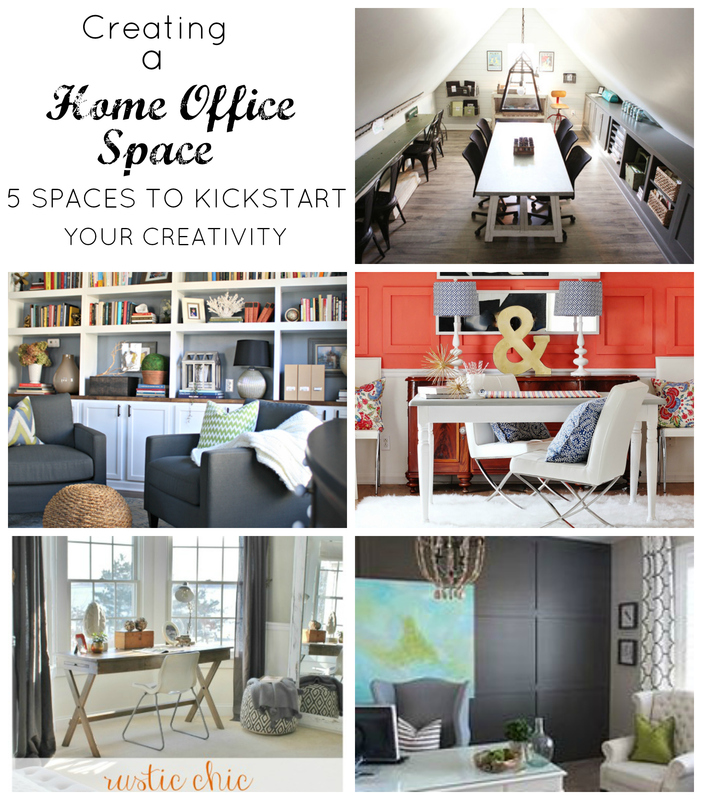 We are in the planning stages of creating a home office space. I had originally planned on making an office space in the basement and I did create a desk space that I love which you can see here. BUT it is in the basement and I am just going to say it…that basement scares me to the point that I will not go down there unless someone else is with me. If I am forced to go downstairs by myself, I reach my hand around the corner to turn the light on before I even start down the steps. Then I get what I need and run as fast as I can back up the stairs and shut the door. I consider it my aerobic workout for the day. In all seriousness, it is a nice space but it is too dark for me. The boys like to hang out with their friends and play pool and watch movies. So for now, we will just leave it as the man cave! Anyway, as I was saying, we are planning out my home office. I tried to talk my husband into letting me have his office but it was a no go. Instead, we are going to convert our formal living room into my space. Right now we pretty much just use it as a walk through to our sunroom. I want to turn it into an office/library. I just think it will get a lot more use once we rework the space. I have been looking through some blogs for inspiration and I have a pretty good idea of what I want. I would love to have some bookshelves like you can see here at Thrifty Decor Chick. I absolutely love the look of these shelves with the lighting above. To me this is perfection and it is the look I am going for in my space. We are thinking about using the IKEA Billy Bookcases and giving them the built in look with trim. Love, love, love this bookshelf by Thrifty Decor Chic. I also like this look by City Farmhouse. I like the color palette of this space, the whites, greys, and beiges. I also like the desk. I want a desk that is not so heavy looking and this is the type of desk I am interested in using. 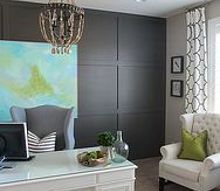 The next look I like is from Magnolia Homes. Basically, I love every single thing that JoAnna Gaines does. I love her style and it fits me perfectly! The next space that I like is from Life on Virginia Street. I like the color palette and the wall treatment. I also like the white desk and the nice comfortable chairs. I want comfortable furniture that you can curl up in and read a book. I want my office to be a place where you can also relax in as well as work. I think this room has it all. Another space I am crushing on is by Thistlewood Farms. What is NOT to LIKE? I love the red walls with the white desk and chairs. Everything about this room appeals to me!